How do you safely store your straight edges? I have a 8’ precision straight level from a BORG purchased 5-6 years ago. I believe stated 0.005” precision (dout over the length because it’s more of a carpentry level than machinist precision level). It’s one of them True Empire levels. It is what I’ve been using to make things coplaner and flat. However, when I try to coplaner my jointer tables, I double check the accuracy by flipping the level upside down. I’m getting different readings with my feeler gauges. Either way… I learned 8’ long straight edge is hard to not to bump it into stuff, probably knocking it out of alignment. I assume, 50” or even 24” would be the same so critical care is needed. Do folks with straight edges store them flat in a box? Hang from a tool hook? What’s the best way to store these things? I have a 6 fool long Starrett straight edge. If you could see it up close you’d see it’s engraved with arrows in form each end where it’s to be supported at. In the picture in upper right area you see it hanging on the wall. 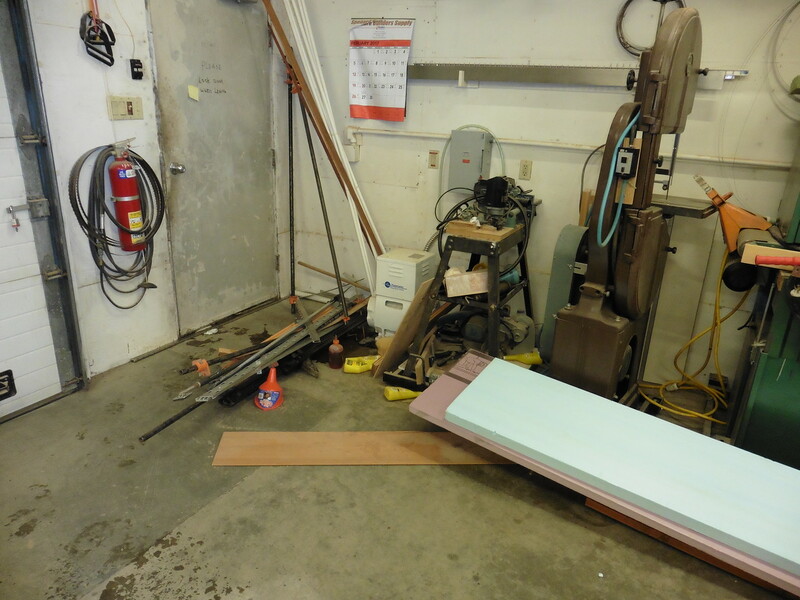 One end is partially hidden by the calendar and the other by the band saw. It took this picture right after the earthquake. Happy to say the straight survived with out a scratch. I have a couple or 3…none over 40”. They hang (oriented like those above) on their non machined edges in an out of the way spot. My 39 inch aluminum one has a hole in each end. I just hang it on a nail, sort of in a corner with the machined edge towards the corner, in case it gets bumped. I hang my precision straight edge from the hole in one end . It also hangs in the tube it was shipped in to prevent rusting. My other Lee Valley straight edges that I keep in a long tool holder are not precision. Looks like the Taytools aluminum straight edges have hanging hole so that presumably would be a simple way to store it. If it didn’t come with a hanging hole I wouldn’t make one. If if comes with a case, I would use it.